Gulchekhra Bobokulova admits to murdering four-year-old child under her care, parading around with her head. 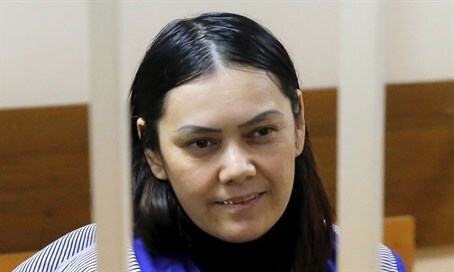 Gulchekhra Bobokulova, a 38-year-old nanny with three sons of her own, has admitted to brutally murdering a child she was caring for. Appearing in court today, she said that “Allah ordered” her to commit her crime, International Business Times reports. Prosecutors argued that Bobokulova was “incited” before she murdered the child, though police say that they have no found evidence that anyone else was involved. Investigators also do not believe that she has any connection to Islamist groups. Officials in both Russia and her native Uzbekistan say that Bobokulova had mental health issues. Several days ago, she was found walking the streets of Moscow in a hijab while carrying the head of a four-year-old girl and yelling “Allahu Akbar” and “I am a terrorist.” According to Russian sources, she threatened to blow herself up when confronted by police.